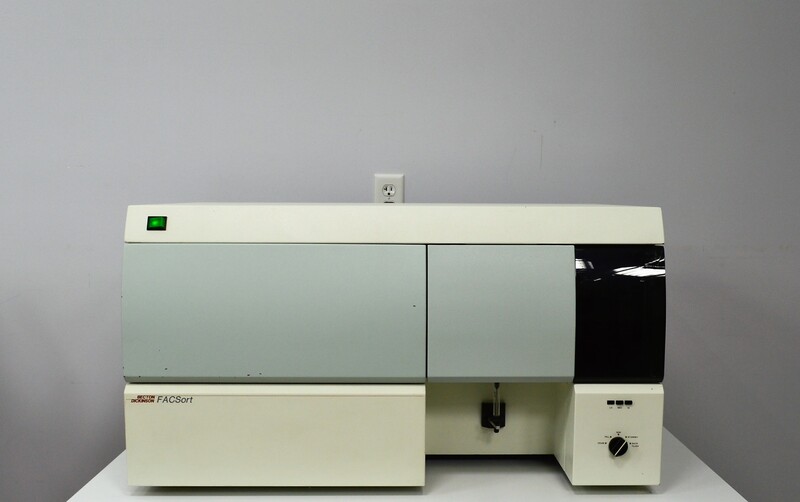 Becton Dickinson Facsort Flow Cytometer Fluorescence Activated Cell Sorter . New Life Scientific, Inc. The FACSort is an analytical flow cytometer that uses lasers to analyze and sort cells with scattered light and fluorescent colors. The BD FACSort is in good cosmetic condition, but there are signs of use and age. The plastic door is cracked in multiple areas but remains useful. This product was powered on only by NLS technicians. The specialized power cord will be included, but no other testing was performed. The software was not acquired that is required to operate this instrument. This FACSort would be an excellent addition to a laboratory that plans to purchase the software or already has a workstation. The technicians have observed signs of functionality, but they were unable to fully test it.